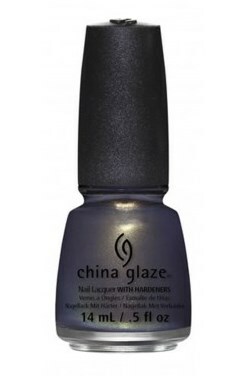 China Glaze Nail Polish, Choo Choo Choose You, 1321, .50 fl. oz. Olive green-toned taupe nail color with copper, green and gold shimmer.